A small brass locket was polished and adhered to an adjustable plated brass ring. Please note "this is a dainty ring", not a tall prominent ring. The locket is 10mm or 2/5 an inch wide and very flat. 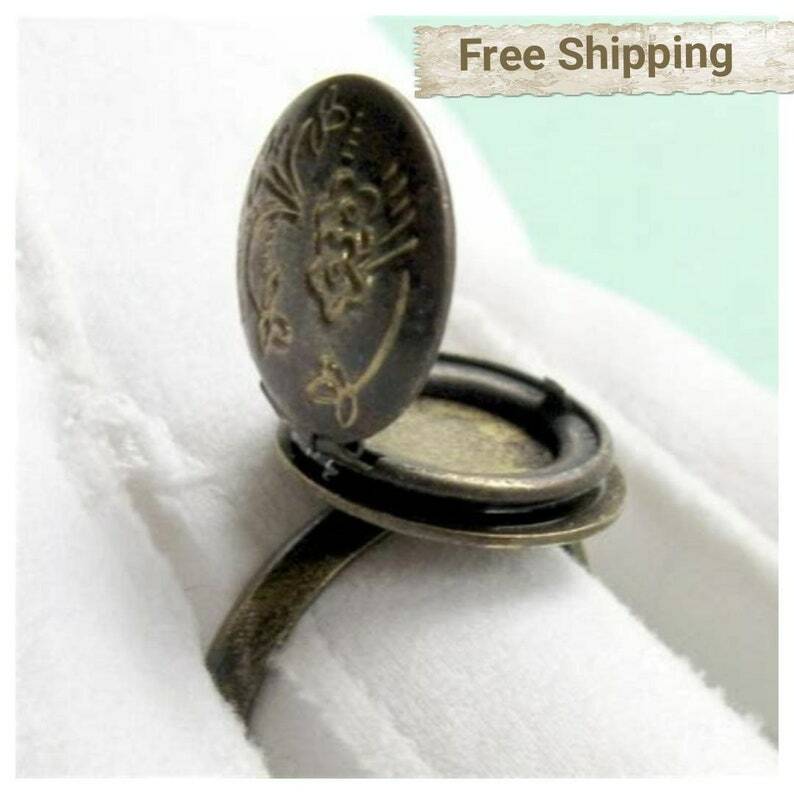 This tiny ring is a great novelty, but could hold a dab of solid perfume. The ring is adjustable and comes in 3 sizes. Please choose your size during check out. It’s beautiful I honestly love the vintage look to it! I love this ring along with the box it came in! Thank you so much.